Water plays an essential role in sustaining the quality of life and economic strength in our communities. Realizing the need for a reliable water supply in the San Ramon Valley, particularly in dry years, the Dublin San Ramon Services District (DSRSD) and the East Bay Municipal Utility District (EBMUD) created the San Ramon Valley Recycled Water Program (SRVRWP) in 1995. The partnership provides an eco-friendly supply of irrigation water while conserving limited drinking water. Recycled water deliveries began in early 2006 when construction of the program's first phase was completed. DSRSD currently supplies water to parts of Dublin and the Dougherty Valley, while EBMUD serves recycled water to portions of San Ramon. In future phases, EBMUD also will supply areas within Blackhawk and Danville. 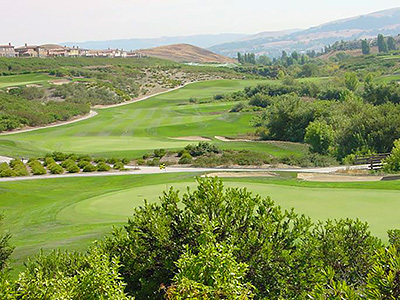 The SRVRWP's main transmission pipeline connects to DSRSD and the EBMUD pipelines that serve large irrigation customers: golf courses, parks, greenbelts, roadway medians, schools, office complexes, and common areas in homeowner associations. In 2014, the City of Pleasanton signed agreements with the SRVRWP partners that allow its treated wastewater to be used to produce recycled water. The agreements pave the way for a recycled water program in Pleasanton and expansion of the SRVRWP water recycling plant.